Learn the best dog training methods! This article is an in depth review of some of the most popular canine training techniques. If you are interested in a particular one, check the right column list for a quick find. 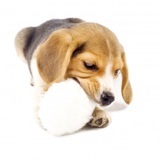 Read, learn and follow the step-by-step tutorials to have a well behaved pet! I will guide you the whole way, it’s easy, intuitive and it will give you the power to train your furry friend the right way! But you have to do your part as well. Practice practice practice! Part 1: Learning principles. Understand how animals learn with the laws of learning. They are the foundation of any dog obedience training method. Part 2: Dog training methods. A description of different techniques with links to in depth articles. Which one to use? I will tell you the advantages and disadvantages of each one and help you choose the right one for you and your dog. You will most likely end up using several different ones to teach your pet a variety of commands. Classical conditioning, Operant conditioning and Extinction. They are the basis of all dog training methods. Classical conditioning is how we learn to associate a signal with an event. When a signal is immediately followed by an event, animals learns to associate them. For example: Your pet gets excited when he hears you getting his food bowl. He has learn to anticipate that sound with being fed. The animal has no control over the signal. He can't make the signal start or stop. For example: No matter what the dog is doing, you won't feed him until it's dinner time. And when it's dinner time, regardless of what he is doing, you will grab the bowl and feed him. His behavior does not control dinner time. With lots of practice, the signal "feels" like the event itself. This is a key concept and why this principle is so important. You can train your pet to "feel" good about a particular signal (for example: a Marker Word) and then use this signal as the reward itself! You will use classical conditioning to teach your pooch a Marker Word and also when using the clicker dog training method. Read the full article "Classical Conditioning: a basic form of learning". Classical conditioning is how we learn to associate things. Operant Conditioning = "my behavior has a consequence"
1- The animal RECEIVES a reward for a particular behavior, so it performs that behavior MORE OFTEN. For example: the dog sits, you give him a treat. The dog will start to sit more often to try and get more treats. 2- The animal RECEIVES a punishment for a particular behavior, so it performs that behavior LESS OFTEN. For example: the dog barks, his electric collar gives him a shock he doesn't like. The dog will bark less often to avoid being shocked. 3- A punishment is TAKEN AWAY or stopped when the animal does a particular behavior, so the dog does that behavior MORE OFTEN. For example: the dog is being chocked with a choke chain while snarling, he stops snarling and instead relaxes his face, the choke on the chain is released. The dog will relaxed his face more often to keep the chain from choking him. 4- A reward is TAKEN AWAY from the animal when he does something, the behavior appears LESS OFTEN, so the animal can get his reward back. For example: you greet your dog at the door, he jumps on you so you take away your attention (ignore him). The dog stops jumping to get your attention back. The dog has control over the signal, he can make things happen or stop from happening by choosing the appropriate behavior. You will use operant conditioning every time you teach a new command or when training manners. The different dog training methods explained below will use one or more aspects of Operant Conditioning! Read the full article "Operant Conditioning: the truth about positive vs. negative dog training methods". What happens if you stop giving your dog rewards? In our case the behavior that was being reinforced will disappear. Remember that "Classical Conditioning" happens when we learn to associate two events. For example: the sound of the leash clicking predicts the dog will go out for a walk. Extinction happens when the signal does NOT predict an event any longer. For example: If you start grabbing the leash and making noise with it, but then don't take the dog out for a walk (and repeat this many many times! And only take him out without the leash). The dog will learn that the sound of the leash has lost its meaning and will stop reacting to it. Remember that "Operant conditioning" is when we learn that our behavior has a consequence. For example: You ask the dog to sit, he sits and gets a treat. Extinction happens when the behavior stops producing the consequence. For example: The dog sits but you don't give him a treat anymore. The dog learns that sitting does not get him a reward and eventually will stop sitting when you ask him to. Most methods for dog training will use extinction one way or another! Read the full article "Extinction: how to get rid of problem behaviors" and learn how and when to use this learning principle. Extinction means that a behavior will decline because it is no longer being reinforced. Following you will find a quick review of dog training methods. Read the full articles for the ones that you think are better for you and your dog. As you browse for things to teach your pet, or for help to solve a particular problem I will mention what training technique is being used and why. That way you can always refer back here. Don't know how to get your furry friend to sit? lay down? walk next to you? Luring makes your dog follow you! Luring is a way of moving your pet around and positioning him the way you want without pushing or using a leash! It is not always the most effective canine training technique but I highly recommend it for beginners! In a nutshell: You put a piece of food between your fingers, your canine friend will follow your hand pretty much anywhere to get that treat! Now you can make him sit, lay down, walk nicely on a leash and much more! Read the full article "Luring a Dog Behavior" to learn more! Capturing: the best dog training method! Capturing: catch your dog doing what you want! Capturing is one of the best dog training methods to use because it requires the dog to "think" about the situation and it uses only behaviors freely given by the animal. But you need patience and practice! In a nutshell: to capture a behavior, you mark and reward it when your dog does it! Through positive reinforcement (Read Operant Conditioning) your canine friend will start doing that behavior more often and then you can add a command cue to it. Read the full article "Capturing a Dog Behavior" for information and step-by-step instructions. Shaping is one of the advanced dog training methods because the trainer needs to be patient, observant and have great timing when delivering the reward. Shaping is a powerful dog training technique because you can use it to train your pet complex behaviors like "turn the light on/off" or "bring me the remote control". Shaping is a positive training method because you will never use force or discomfort. In a nutshell: You will use a version of capturing. Instead of capturing the full behavior, you will only reward small approximations to the end goal. Shaping is also fun! Read the full article "Shaping: an advanced dog training technique" to learn more about it! Targeting is a way of speeding up some behaviors that are trained by Shaping. This is done by using a visual cue to prompt the dog on the right direction. In a nutshell: start by training your pet to touch a target (it could be as simple as your hand in a fist or as elaborate as a nice stick with a ball at the end). You do this by Shaping. Then you can use the target to make your dog touch things, move by following the target, etc. Finally you must fade the target away to get a clean behavior. Targeting is the most common way of using visual prompts to train many behaviors. Read the full article "Dog Target Training Can Speed Up Learning". Modeling is a technique in which the trainer physically positions the animal to do what is desired. For example, to teach your dog to sit you would push his bottom down. It can be scary or uncomfortable to the puppy. It is not very effective since the animal doesn't have to use his own brain! Why use it if there are better options? 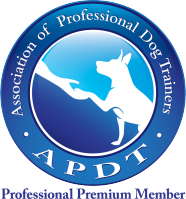 Always use dog training methods that reinforce a behavior freely offered by the dog! Clicker training is a positive reinforcement training method based on Operant Conditioning. It uses a "clicker" (small device that makes a sharp and distinct sound - click!) to tell the hound when he did something correctly. The clicker replaces the Marker Word. The clicker sound - click! - is an excellent marker cue that any pooch can clearly distinguish. Because it is based on positive reinforcement, training sessions are fun! It is a simple and effective dog training method that can be learned fast! If you are planning on training your canine companion for more than just good manners, I highly recommend using clicker training. If you only want to teach your furry best friend a few good manners, then using a Marker Word in combination with other dog training methods mentioned above should be more than enough. You can always add clicker training later on! Head over to the "Clicker Training" section to learn all about it! These two dog training methods are often used together to change an animals fear emotions to joyful or relaxed ones. Does your pooch you have behavioral problems because of fear? Dog barking, dog aggression problems, and shyness/unmotivation due to past harmful training experiences are all examples of problems that can be solved with these techniques. Systematic desensitization is a method in which you expose your hound to the fear eliciting-stimulus (i.e. other dogs, strangers, loud sounds, weird objects, etc) in a gradual manner. The key idea is to go very slowly, so that your dog has no fearful reaction (at all) during the whole process. Click on the link for a step-by-step guide. Counterconditioning is like classical conditioning. The difference is that in this case your furry friend already has an association (a bad one!) with the fear eliciting-stimulus. So, by giving your dog treats or rewards every time the object/subject that produces fear appears, he will eventually start feeling happy instead of fearful! This happens because now your dog anticipates a yummy treat is coming! Click on the link for a step-by-step guide. This is also a dog training method to treat fears and phobias. It is also based on the principle of classical conditioning. Unlike Systematic Desensitization, this technique is very traumatic and potentially harmful. This is because the animal is faced with the fear-eliciting stimulus at its worse. The animal is not allowed to escape or fight and this situation continues until the dog gives up. You can probably see by yourself why flooding is not the way to go when your have a fearful dog. Why put your furry best friend through such a horrible experience when systematic desensitization works too! I strongly recommend you STAY AWAY from it! As a matter of principle, never use any aversive method to treat your fearful canine companion.